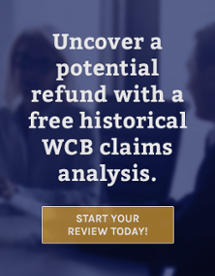 Since 1988, BCL Consulting Group Inc. has been working with employers to minimize WCB and disability costs associated with work-related, personal injury and illness claims. We have assisted over 1,800 organizations, thereby securing our position as Western Canada’s leader in the field. In addition to our dedication to cost control, we are committed to keeping abreast of new developments, trends, articles and projections that can have significant effects on how businesses operate. Our dedicated team consists of injury and disability consultants, physiotherapists, nurses, Canadian registered safety professionals, human resource specialists and legal counsel. Beyond this, we have an extensive network of associates and health care professionals across Western Canada who are available to provide services in other related areas. The BCL Team will work with your organization and employees to identify and solve problems. We will also provide you with the tools and training to avoid risks and unnecessary costs related to disability. When an accident does occur, it is an indication that there is an internal problem. Similarly, when an employee is frequently ill and absent from work, it is a sign that intervention is required. Though illness cannot always be prevented, multiple cases of the same illness or condition often require intervention. Many organizations do not consider these aspects of Absence Management. BCL will provide you with programs specifically suited to your needs. A “Needs Analysis” is the best approach to determining a successful course of action. Put the BCL team to work for you today!